New edition, the first of this translation (not stated). The copyright is assigned for the year 1957 to Thomas Bouregy & Company. "Printed in Germany 1973" and "Ullstein Buch Nr. 2965" are stated on the copyright page. Month of publication from Science Fiction Times #132. The last page of the novel (p. 142) is unnumbered. 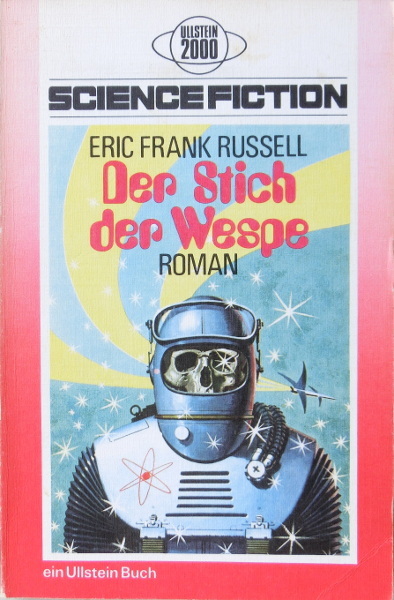 The cover artist is credited erroneously on the copyright page as 'ACE', a publishing house; it is the same cover art as for The Worlds of Robert A. Heinlein. The cover design is credited to Ingrid Roehling.